Home Archive for category "Simbi Tips"
Are you just getting started on Simbi and need some tips? Or are you a veteran looking to get the most out of Simbi? Either way, our Tips Archives will surely help you achieve Simbiotic success. Take a scroll through our Tips archives to find out how to use our most important features, make the most out of exchanges, and take full advantage of Simbi and the community. We’ve got articles on breaking the Newbi shell, using the quota feature, pricing your service, making your service stand out, tips from star members, and much more! 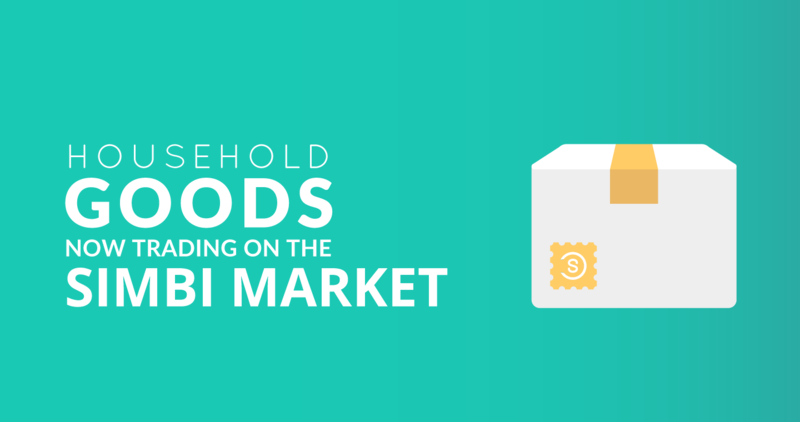 Household Goods: Now On The Simbi Market! Buy, sell and trade your household goods on the Simbi Market! By recycling our treasures through trade, we reduce waste while also bringing delight to others in our community. So join us in cleaning out your closets to get more of the services and special pieces we love! Grow Your Groups in 6 Symbiotic Steps! The Simbi community is dense with super talented freelancers, business owners, and individuals, many of whom have personal blogs or websites. Our members asked us for ways to share their Simbi presence externally, so in response to our members’ enthusiasm, we created Simbi web widgets — the perfect widget for those wanting to link their personal sites to their Simbi profile. Simbi web widgets are images which link to your Simbi profile, that you can include in your website. Furthermore, we’ve created various widget sizes and styles to suit your needs — from 200 x 200 pixel square banners for your blog, to 60 x 60 pixel social icons for your footer. To get started, go to www.simbi.com/widgets (make sure you are logged-in). Click on the widget style you’d like to use. Copy the embeddable HTML code, then paste it into your blog/website. And guess what? You’ll earn 25 simbi for each member you recruit through these widgets, plus 25 more when they make their first deal. Using Simbi web widgets on your site can create many new opportunities for fruitful exchanges and friendships that enrich your life. So give it a try, and let us know what you think! Get to know exactly what makes some Simbi members more successful than others. Why does Simbi have a “Newbi” system? Simbi is built on trust and reputation. We are growing quickly, so we need a way to screen new members before they can access more established members of the community. This Newbi system not only helps to protect our experienced members, it also allows Newbis to “learn the ropes” and ensures that they have at least one review before gaining access to the entire community. Start various conversations, make many proposals, and see who’s willing to accept your proposal. The more members you reach out to, the faster you’ll land a deal. The more services you have, the higher the chance that another member will reach out to you. Keep in mind that services with specific titles, reasonable pricing, well-scoped descriptions, and honest qualifications get 3x more inquiries. Ask the community for help by posting a request! If anyone helps you with a request, you’ll become initiated. The Simbi community is a very kind and neighborly one, so there are plenty of members who are always on the lookout for requests they can help with. Check out our Community Requests page and see if there’s anything you can help with. Newbis can help with anyone’s request, experienced or not. Once you provide help, you’ll be initiated. What’s more, you’ll earn the shiny Helper badge for offering your helping hand. If an experienced member favorites your service, you can make a deal with them. You can find them under the “You’ve Been Favorited” section in our Matching Game page. Don’t be shy, reach out, and let them know that you’re interested in making a deal! Remember, any deal you make, no matter how small, unlocks every service available on Simbi. Getting your first deal is fun and easy, as well as a good learning experience. So go forth, start some conversations, and get that first deal! Pricing your service isn’t easy the first time around, so here’s a quick guide ..
Focus on honing these symbiotic qualities to get to the top of search results on Simbi! Grow Your Local Simbi Community! Want more local services? Follow this guide for fun ideas on how to help Simbi grow. Tips from our Star Members! Check out these tips from our star members on making your Simbi profile shine bright! Most of us don’t know what to expect the first time, so here are some guidelines.